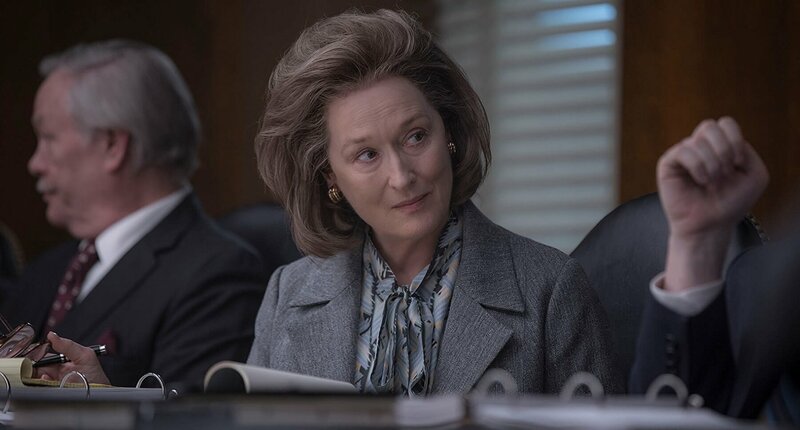 Stephen Spielberg directs Meryl Streep & Tom Hanks in The Post, a story based on true events surrounding The Washington Post’s publishing of the Pentagon Papers in the midst of the Vietnam war. Meryl Streep plays Katherine Graham the owner of the newspaper and Tom Hanks plays Ben Bradlee the editor of the paper. The story chronicles the rise of The Washington Post from a local newspaper to one of such prominence that it eventually led to the impeachment of a President of The United States. Katherine comes to running the paper when her husband commits suicide. She is a reluctant leader, thrust into a position she never thought likely and constantly defers to the other men on the board. Ben Bradlee is the editor who doesn’t seem to want to rock the boat and just coast along doing fluff reporting trying to curry favour with the Nixon Administration by not getting adversarial. When the confidential report commissioned by Bob McNamara, Lyndon Johnson’s secretary of defence is leaked and The New York Times published the piece and is faced with an injunction by the Nixon Administration, The Post takes it upon itself to print the pentagon papers as well. Meryl Streep is good as Katherine Graham, but this isn’t one that even an ardent fan like myself is going to want to come back to. She is given very little to do and in that she does just enough. Tom Hanks has the meatier of the two roles and does rather well in the scenes he is in. Bradley Whitford as board member Arthur Parsons, Tracey Letts as Kay Graham’s confidant Fritz Beebe & Bob Odenkirk as Ben Bagdikian who ferrets out the source and gets the papers to The Post are brilliant in the supporting roles. Stephen Spielberg makes the most obvious of directing choices, every scene is paint by numbers. The screenplay and editing just compound the problems with Spielberg’s simplistic direction. For instance the scene where Graham gives her go ahead for the print run and Bradlee calls the printers to relay the go ahead would have been so much more effecting had they simply cut from Meryl sitting down on the chair and Hanks walking to the phone and Odenkirk sitting at his desk in the newsroom typing away when his desk begins to vibrate indicating that the go ahead was given. Instead Streep says yes, Hanks phones in his go ahead and then the printshop worker is shown hitting the print button before cutting to Odenkirk. There are many such moments which are squandered away. The reason for why Graham goes from being a reluctant leader to one with great conviction is also allowed to fall flat. Even the final scene where Graham is walking away with Bradlee and they joke on how they cannot bear to go through something like this again, and laughing at the fact that since it is Nixon it is more likely that something like will happen, implying the subsequent Watergate expose which The Post ran, Spielberg follows that up with a throwaway clip of a police inspector reporting a break-in at the Watergate building. 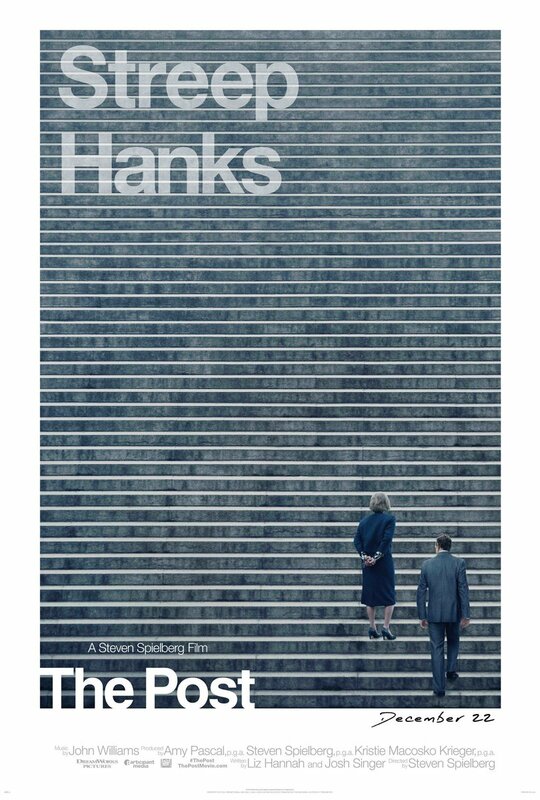 Such childish direction is not what Streep & Hanks deserve, the story commands nor one expects from Spielberg. The scene where May Greenfield reads out the Supreme Court ruling “In the First Amendment the Founding Fathers gave the free press the protection it must have to fulfil its essential role in our democracy. The press was to serve the governed, not the governors. In my view, far from deserving condemnation for their courageous re porting, The New York Times, The Washington Post and other newspapers should be commended for serving the purpose that the Founding Fathers saw so clearly. In revealing the workings of government that led to the Vietnam War, the newspapers nobly did precisely that which the founders hoped and trusted they would do.” Is the reason why this movie is so important I just wish it was better made.